Welcome to the World of Online Poker. The online poker boom has cooled off after being affected by the UIGEA and Black Friday, but even if the growth rate of ”America’s favorite pastime” has slowed down, there are still hundreds of thousands of people playing poker online every day. Our mission is to show you the most legitimate poker websites to play at. Additionally, we’ll guide you through different deposit and withdrawal methods (yes, we also tackle Bitcoin), as well as rate subscription poker training websites. In a nutshell, we want to guide you through the world of online poker safely. Most informational sites have other intentions; for example, you’ll find plenty of websites giving the sites the review 10/10 ratings, which basically means perfect. If a website ranks several poker rooms with a perfect ten, you have a good reason not to trust that website’s recommendations. Hundreds of sites operate within the online poker industry, but what you may not know is that many of them share networks with each other, thus creating bigger player pools, which in turn create more games and higher prize pools. ”Player liquidity” is an important puzzle to solve for internet poker websites since you always need more than one person to get a game running, and lots of players if you want lots of games running. Unlike games like blackjack, slot machines and video poker, which are played against the house, poker relies on a high volume of participants to keep things going. Player liquidity is exactly why it’s difficult to succeed by starting an online poker site today. Giant companies like PokerStars and Party Poker have already established themselves within the internet poker market and are attracting huge amounts of players – all the other issues aside, how is a start-up poker room going to convince people to sign-up when you can go to one of the giants and find plenty of games running 24/7 and participate in tournaments with prize pools worth hundreds of thousands or even millions of dollars? Even if a start-up operation was able to attract thousands of real-money customers to their site – which is a major feat by itself – they would only have simultaneous customers online in the tens or (at most) low hundreds at peak hours (such is the nature of the business); PokerStars, on the other hand, has around 19,000 simultaneous cash-game players online on average, and the figure goes way up during peak hours. Again, why would you play at one of the start-up sites? Player traffic, which leads to more games (by both quantity and variety) and bigger prizes, is a big customer benefit. Being extremely successful usually comes down to two things: doing the right things and having the right dosage of luck. For PokerStars, it so happened that Chris Moneymaker won the World Series of Poker main event – along with its $x prize – after qualifying for the tournament through a $22 satellite tournament at PokerStars. The moment Moneymaker won the WSOP is often considered the start of the online poker boom, and the numbers certainly indicate that being true: estimated online poker revenue grew from $365 million in 2003 to $2.4 billion in 2006. The result? PokerStars was mentioned in almost every article about Moneymaker’s unbelievable winning effort. Moneymaker also won PokerStars-branded clothing automatically because he qualified through one of their satellite tournaments – which would be shown on television to millions of people – so it was great press for PokerStars in many ways. The second big, future-defining moment for PokerStars came in 2006 when President George W. Bush made the Unlawful Internet Gambling Enforcement Act a law. Plenty of internet poker rooms either folded or simply prohibited U.S. customers, including the biggest poker room at the time, Party Poker. PokerStars, however, did no such thing. They were the second most popular online poker room in the world, and after Party Poker exited the U.S. market, PokerStars became #1. They took the U.S. market by storm with plenty of marketing and great promotions, not to mention high-quality software. We’ve come a long way since the ’90s when you could still request a CD-ROM to be delivered home in order to install gambling software. Well, not that long, since fundamentally online poker software is still the same, although more secure, user-friendly and capable than before. The biggest change during the past few years has been mobile; more and more gambling sites have to make the adjustment to mobile games as screen sizes get bigger and mobile phones more efficient. The change has been more drastic in the sports betting and casino markets, but online poker is making its way to mobile as well. Our site is called Legit Gambling Sites and the name does a fine job at explaining our main purpose, which is to showcase all the legitimate online gambling operations so that you could safely gamble on the internet. We’ve been victims of online gambling fraud, so believe me: there are plenty of real-money poker websites looking to take your money and disappear with it. 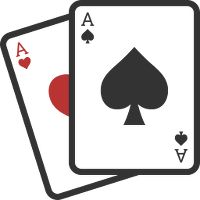 Poker is different from other casino games in one significant way: it’s played against other players, so the house takes its (small) cut out of each pot instead of trying to win your money. While casinos prefer that you lose your money (they want you to be entertained and come back but eventually lose), poker sites would rather see you keep on playing as long as possible, since they make money based on how many hands you play, not how much your lose or win. Therefore online poker promotions are different from casino and betting promotions: while neither wants to give you free money, poker sites want to see you play, so clearing their bonus offers is often realistic (although success rate depends on your skills and how you match against your opponents). Casinos, on the other hand, would love to see you deposit and lose; the deposit bonus offer may look attractive, but is all but impossible to clear all too often (there are exceptions, which we highlight in the casino site section). Bottom-line: you won’t be able to clear poker or casino bonuses if you lose your money, but whether you lose at poker depends on your skills, while skill only plays a minor factor at casino games (unless you play blackjack). So how does a poker deposit bonus work? It’s all about rake. The more you play, the closer you get to clearing the bonus. If you play well (in other words, clearly better than your opponents), you’ll find it easy to clear a deposit bonus; if you’re a losing player, however, it will be difficult to clear one. Most poker bonus offers require you to collect a certain amount of player points in exchange for a certain amount of bonus money. The maximum amount of bonus money you’re allowed to clear depends on the size of your deposit and the maximum deposit limit that qualifies for the bonus. You accumulate player points based on how much rake you pay (for example, you might accumulate one player point for every $1 paid in rake). The term ”player point,” however, makes it sound less like you’re asked to contribute a certain amount of money in order to receive the bonus. However, anyone can do the math since bonus terms and such are easy to find on just about any online poker room’s website. Bigger internet poker rooms like PokerStars also have VIP programs which make it possible to exchange player points into tournament tickets, merchandise and even money.